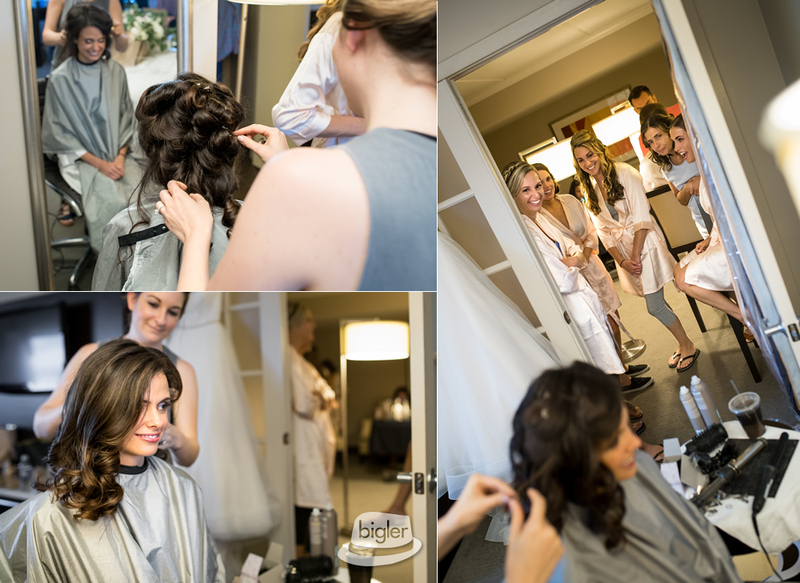 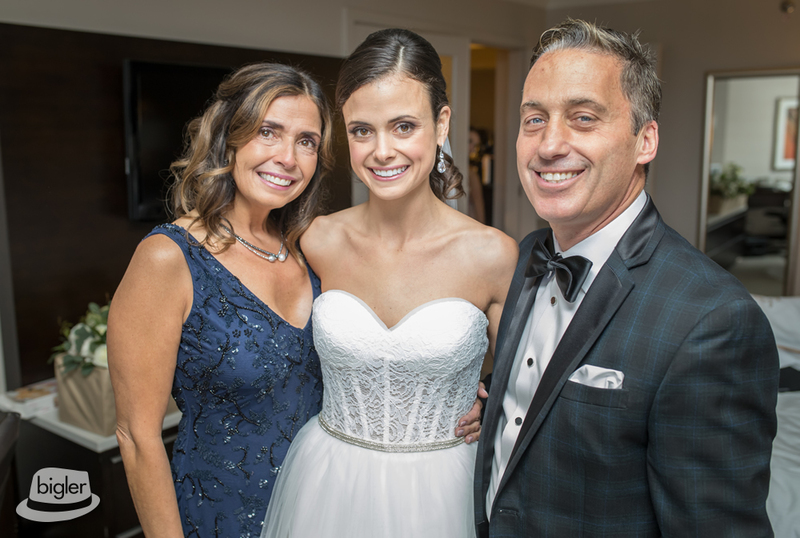 The beautiful bride started her day with her bridesmaids at The Hilton Hotel in Albany where she had a gorgeous up-do styled by Head Games Salon and flawless make-up by Liv Effortlessly. 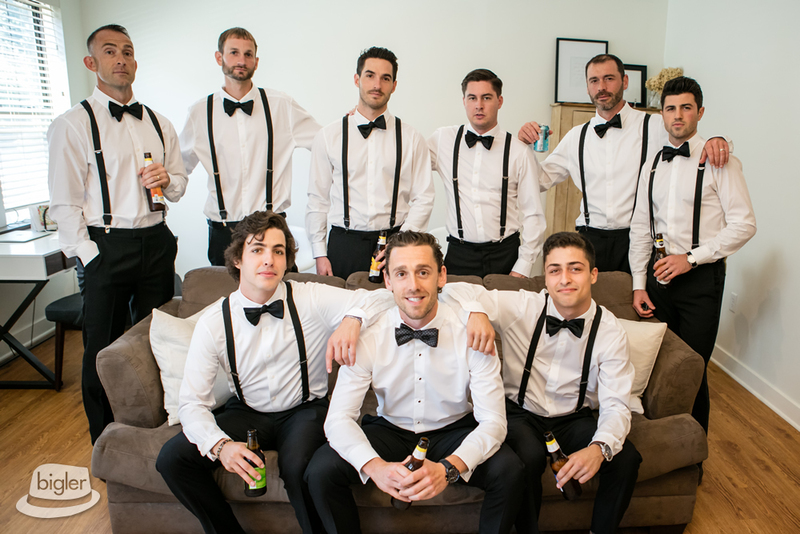 The bride wore a breath-taking cinderella type wedding gown while Ryan and his groomsmen looked sharp in their suits from The Black Tux. 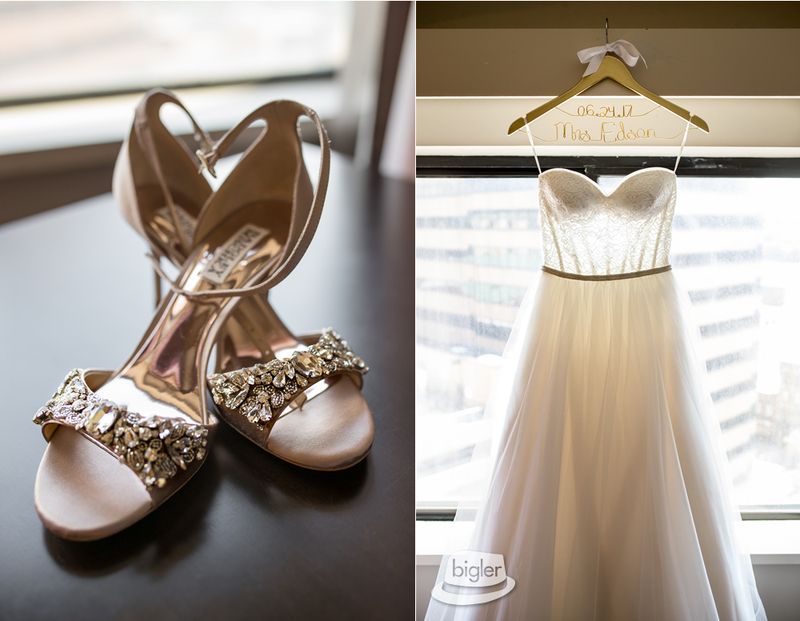 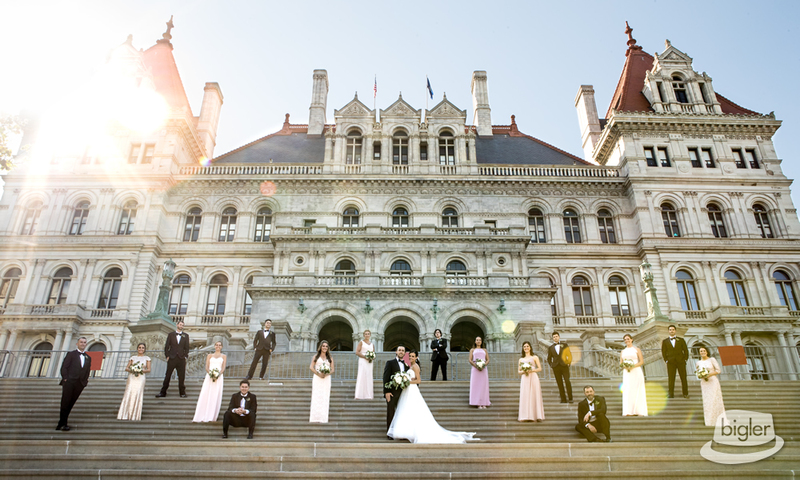 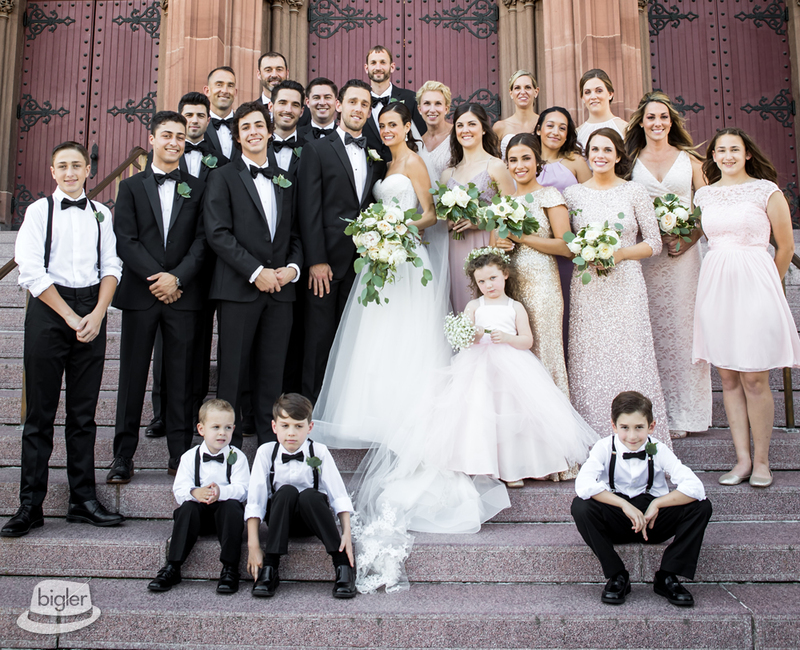 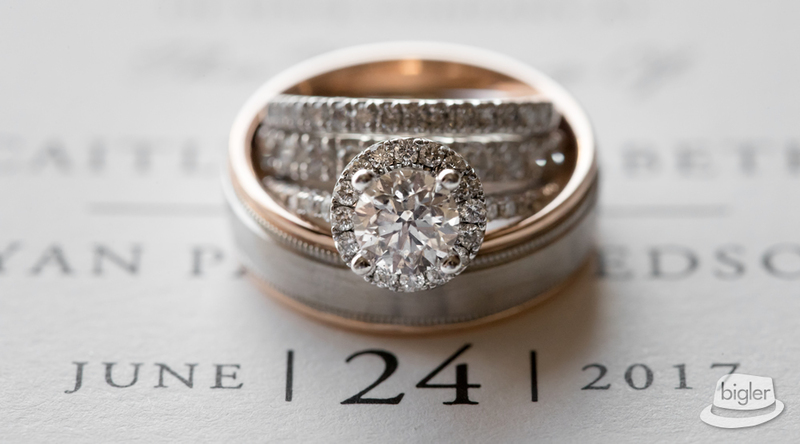 With the entire bridal party dressed impeccably, it was time for the ceremony! 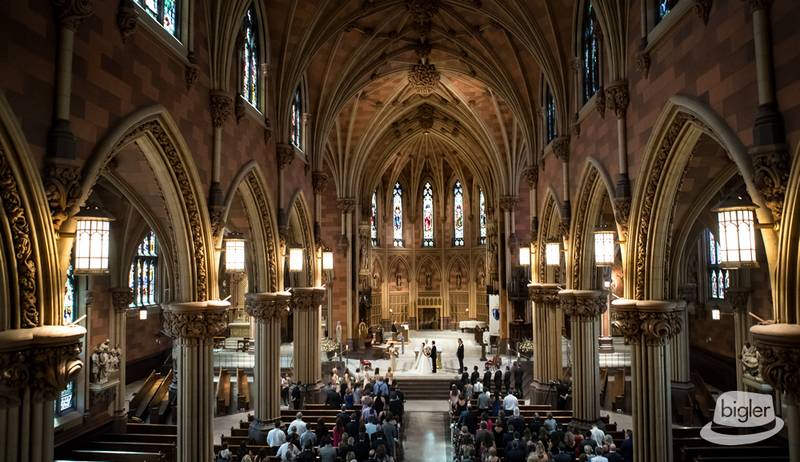 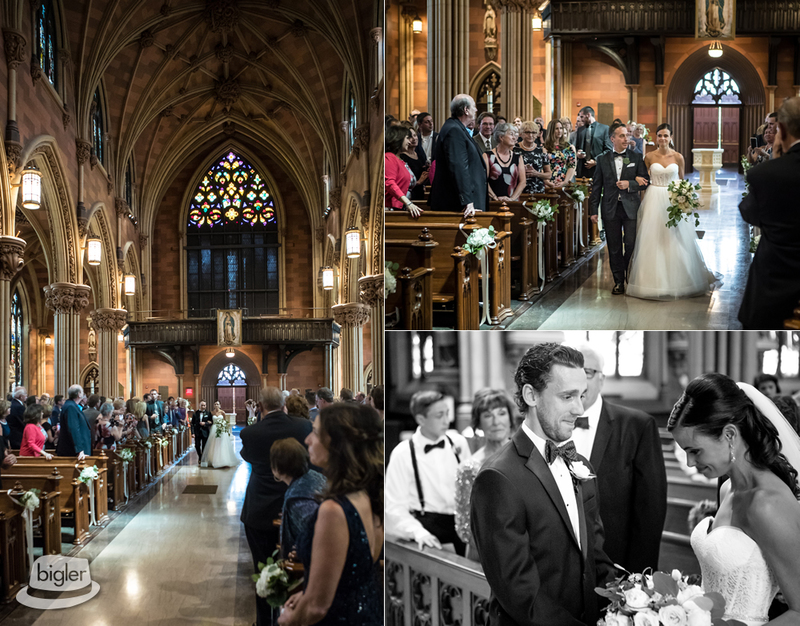 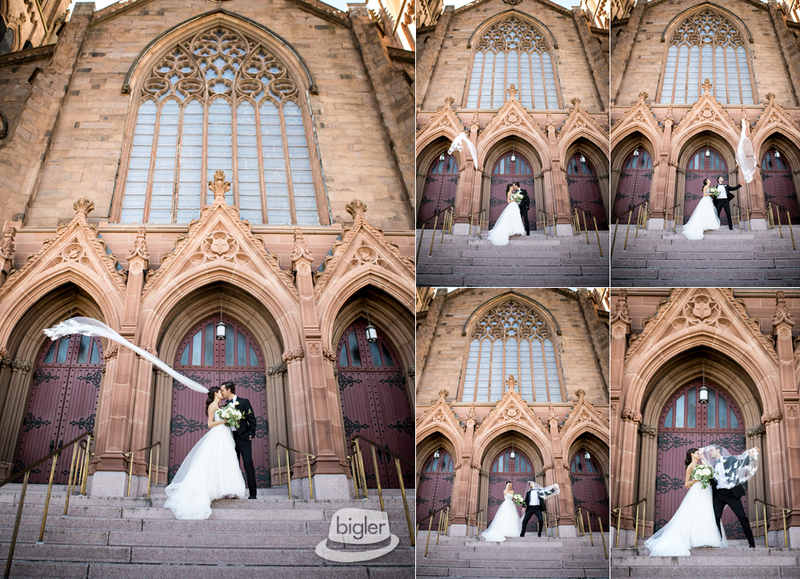 Caitlyn & Ryan tied the knot at the outstanding Cathedral of Immaculate Conception. 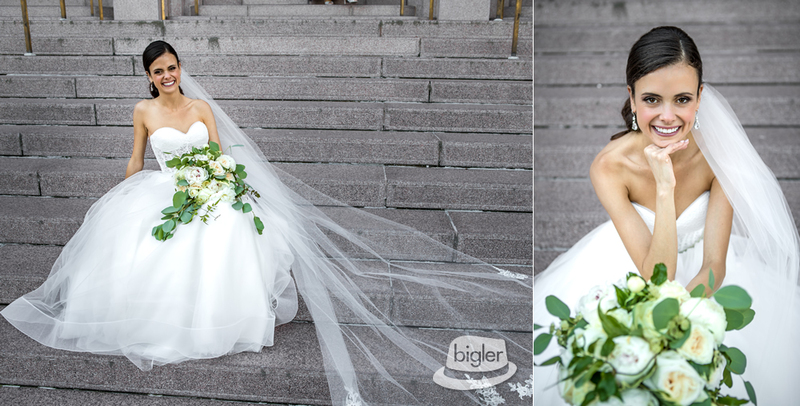 After their beautiful church ceremony, we headed to Washington Park for some awesome bridal party photos! 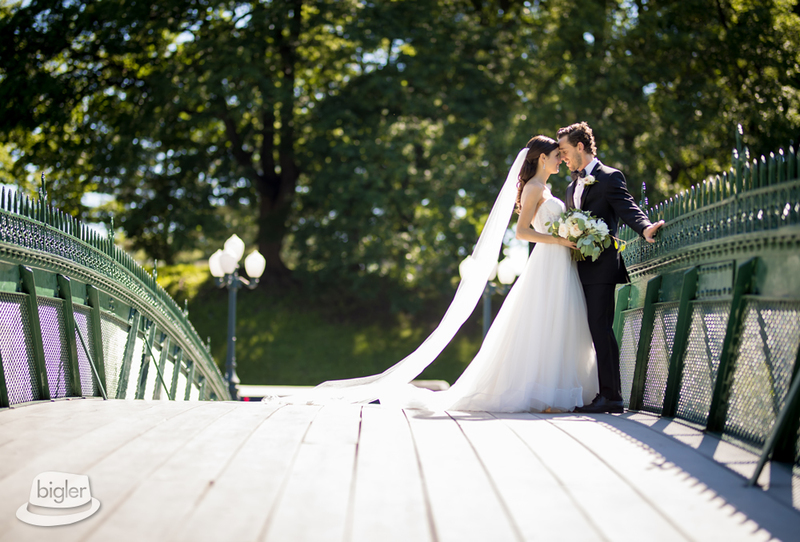 The beautiful weather called for some photos on the bridge, in the woods and at The Capitol. 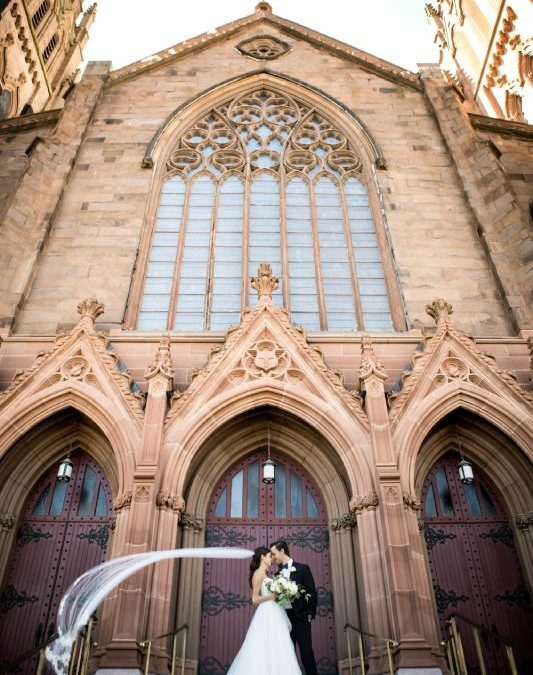 We then headed to 90 State Street to celebrate Caitlyn & Ryan’s marriage! 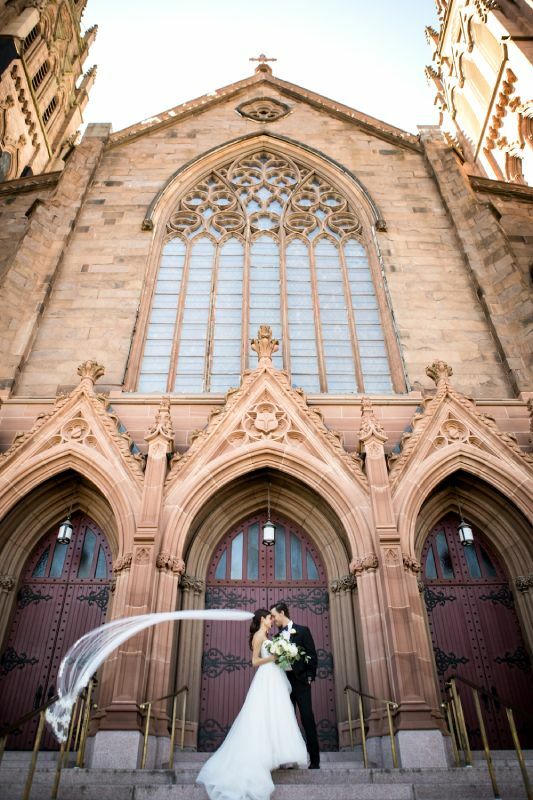 90 State Street looking outstanding per usual. 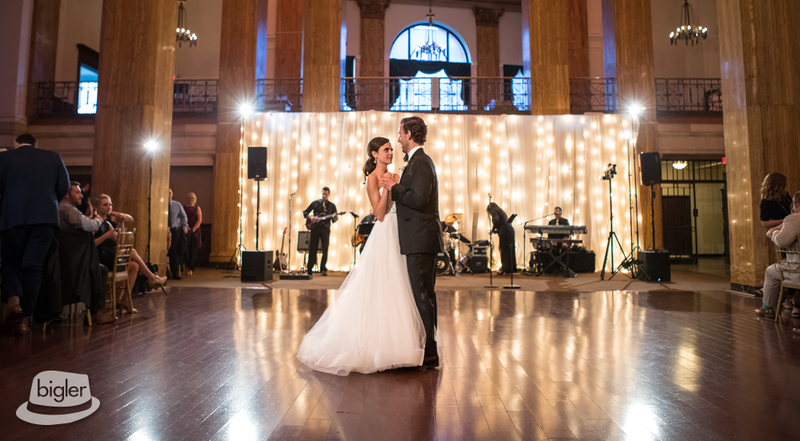 The high ceilings, large pillars and gold details really make this venue a sight for sore eyes. 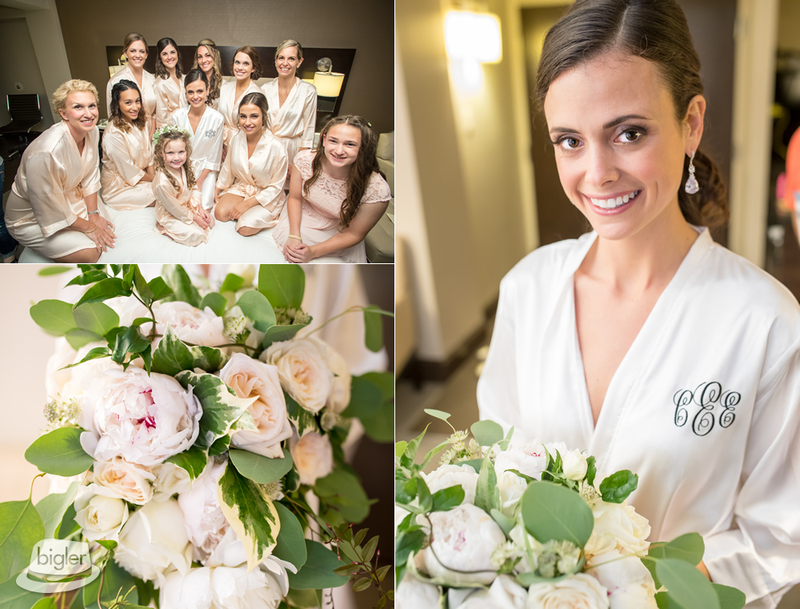 Fleurtacious Designs created white & pink floral centerpieces that added even more elegance to this phenomenal wedding. 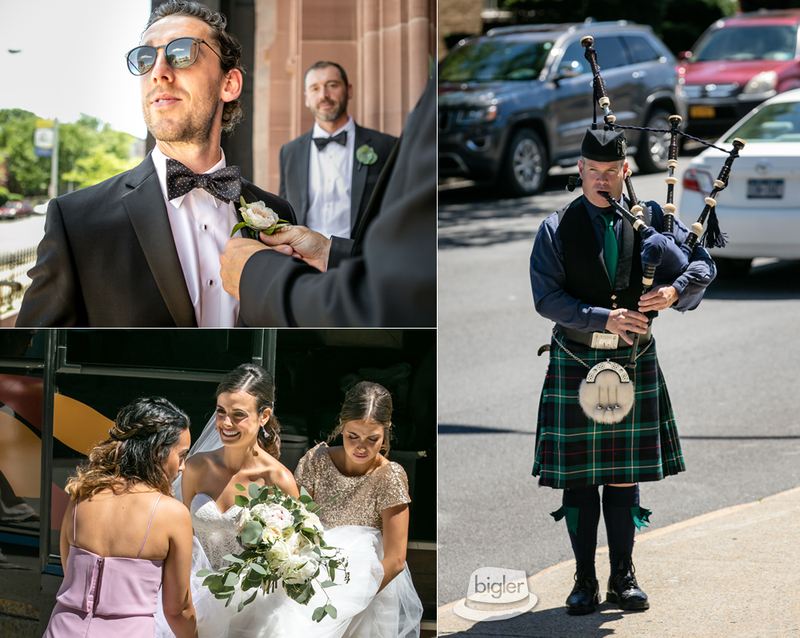 Soon after the grand entrance, the bride & groom’s family and friends shared some amazing, heartfelt & hilarious toasts. 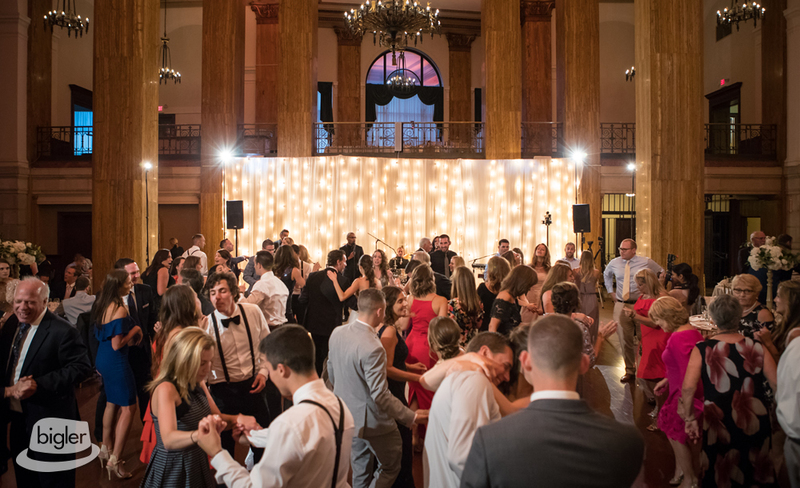 Grand Central Station had the dance floor packed in no time with awesome tunes! 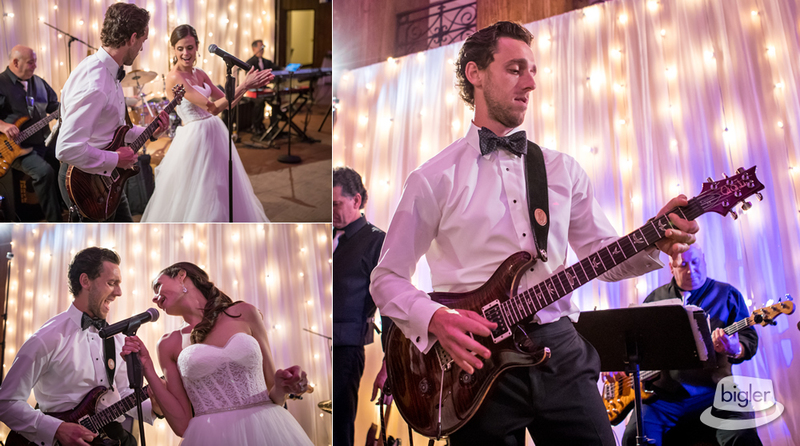 The groom even joined in on the live music taking lead on the guitar for two songs! 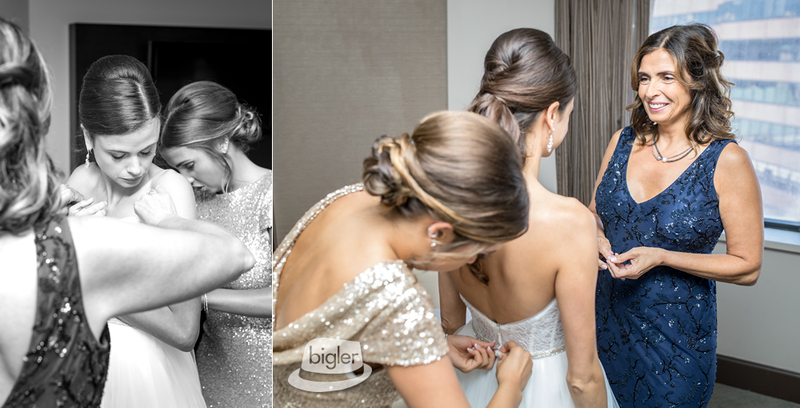 This was definitely an epic night, and the Dave Bigler Photos & Films team is so happy to have been part of all the magic! 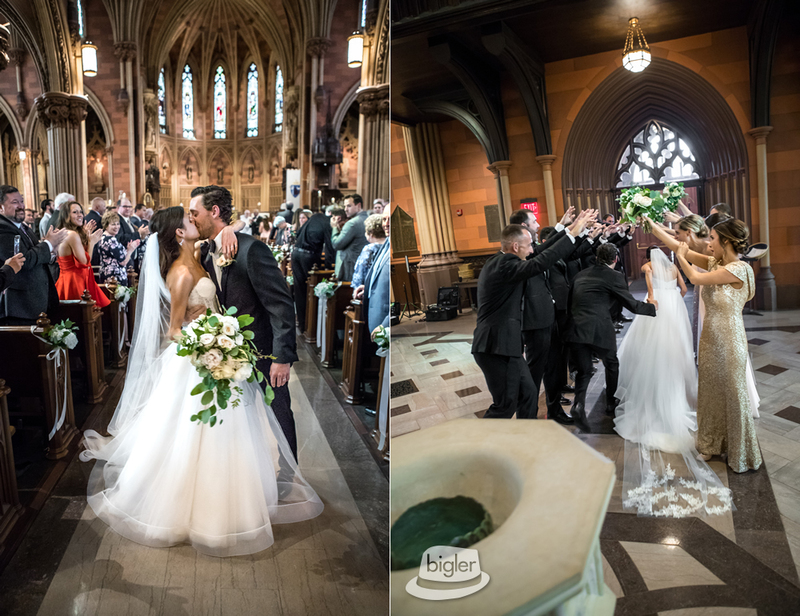 Cheers to Caitlyn & Ryan!